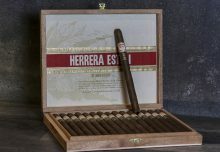 L.A. Poche perique tobacco has been processing tobacco in Convent for over 100 years. The family traces their roots back to Pierre Chenet who discovered perique from the Native Americans around 1780. At the time, there were 3 processers in the last century and L.A. Poche has been the only one since around 1980. Currently there are 150 acres of Perique tobacco grown in the region. 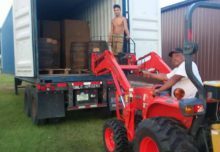 The process of Barrel Fermentation is unique to the region for processing cigars, tobacco stemming from this process is used in our Larutan and Pappy Van Winkle Barrel Fermented cigar lines. The leaves are sprayed with water to hydrate for stripping. each leaf is frog stemmed (stem pulled out from about 3” from tip to bottom), and tied in around 1lb bundles. The bundles are strategically arranged in oak whisky barrels and charged under pressure with railroad jacks. after the pressure holds, the railroad jacks are replaced with screw jacks. The tobacco actively ferments anaerobically under high pressure for 6-8 months. The tobacco is removed a minimum of 3 times, worked and replaced in different order. after a minimum of 12-18 months in the barrel the perique is ready to sell. The process is the same for both Dark Fire Cured Tobacco and Perique tobacco. Drew Estate is the only company using this process for Dark Fire Cured Tobacco. We believe in the time-honored tradition and amazing flavor, which is why it is highlighted on the Pappy Van Winkle Barrel Fermented cigars. As for Perique, only 200 barrels are processed every year, creating a limited and exotic flavor that makes our Larutan cigars stand out. 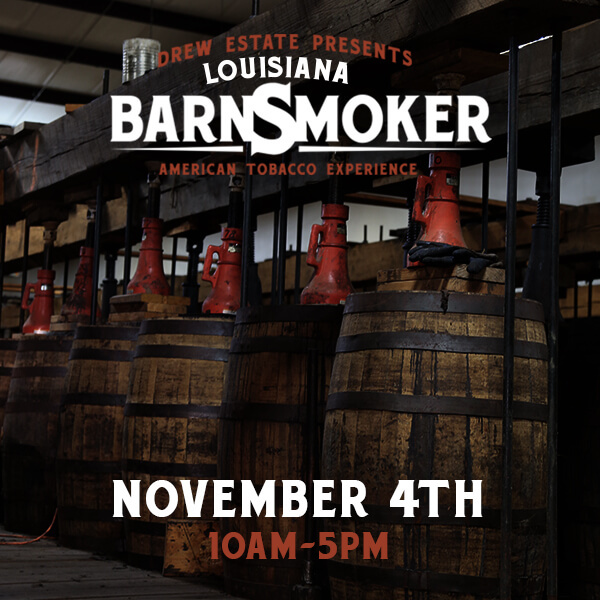 We hope you enjoyed this little peek into the history of tobacco in Louisiana and we hope you join us on November 4th!